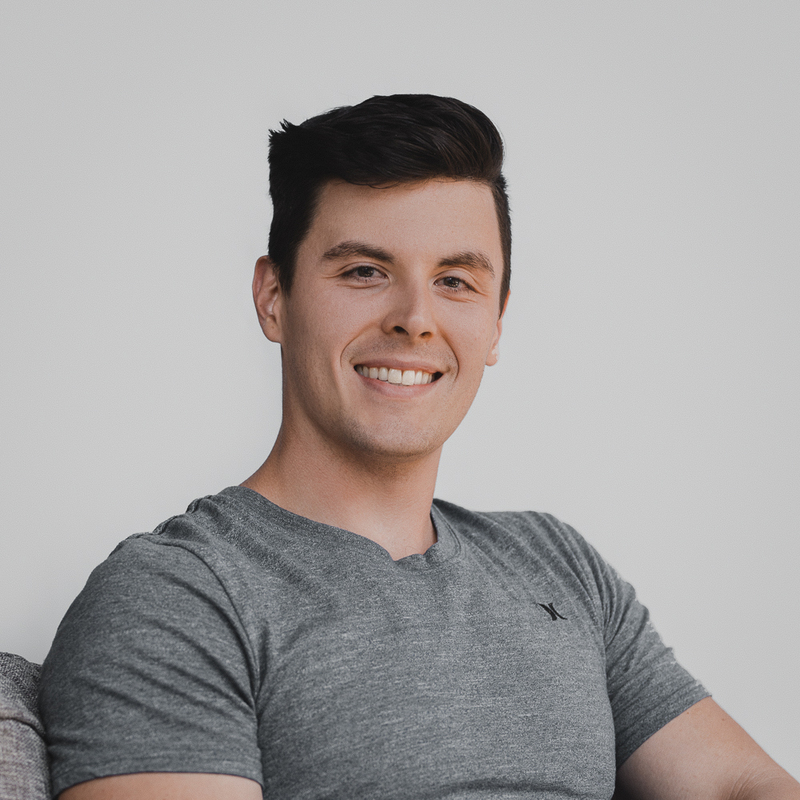 For all the ways your camping trip could go wrong– slept on a root, raccoons got the food, the tent leaked during a storm… – there are a million good ones. And around Pittsburgh, there are awesome spots to make a million more. You can’t beat camping when you’ve got waterfalls, big ol’ bonfires, mountain overlooks, and a front-row seat to the stars to sweeten the deal. Next time you’re stuffing your backpack or loading up the camper for the next big adventure, circle these unbeatable camping spots on your map. 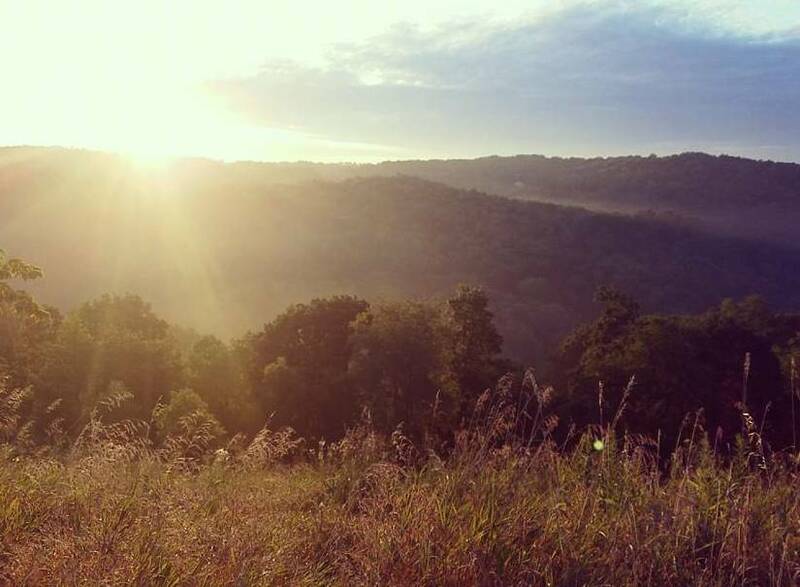 It’s no secret that we love Raccoon Creek State Park (just 30 minutes west of the city). So much so, that one day just doesn’t seem to cut it. All that hiking, swimming, and mountain biking can really tucker you out. Welp, might as well settle in after a long day of adventure. And seriously, you have options, no matter how “campy” you are. Don’t like dirt? Reserve a cabin or lakeside lodge. Like the camping community? Set yourself up at one of the 172 modern sites, complete with flushing toilets and a warm shower (niiiice). But if you’re set on the wild, settle into the simple Sioux Rustic Campground or apply for a limited spot along the 19 miles of backpacking trails. 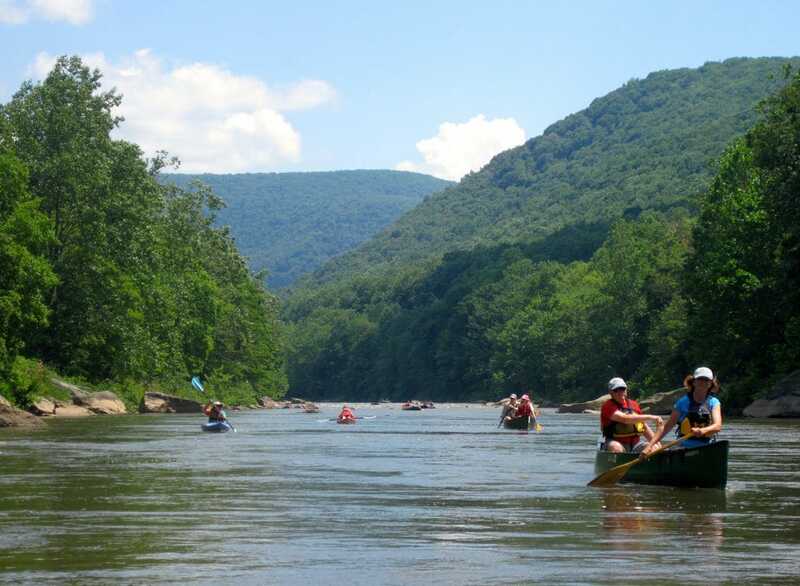 Ohiopyle State Park is like outdoorsy Kennywood. The thrill is real…and it can wipe you out. 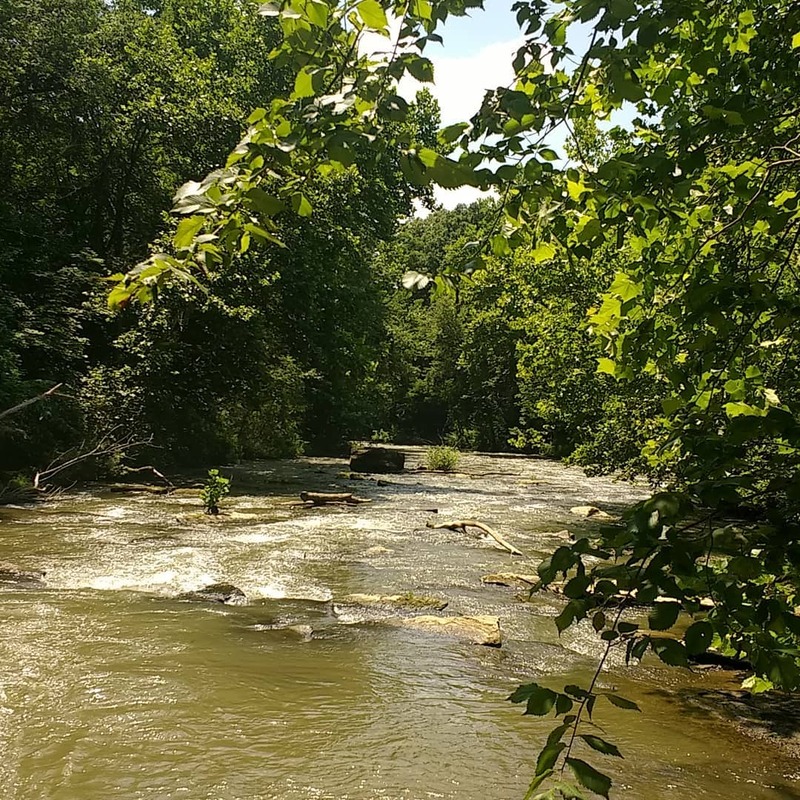 Whether you’re just stopping through on your GAP Trail bike ride, you spent the day exploring the falls, kayaked some rapids, or shot through the natural waterslides, you’re going to need a place to crash. Kentuck Campground has 200 campsites with a picnic table and fire ring in each. But if you really want an experience, try a yurt. Right? A What? A yurt is a round, wood and canvas-walled tent. Ohiopyle’s fancy shmancy yurts bunk 5, have a wooden deck, stove, refrigerator, and electricity (not quite roughin’ it). If you go camping to go “off the grid”, you need to get to Quebec Run Wild Area. No, it’s not in Canada. 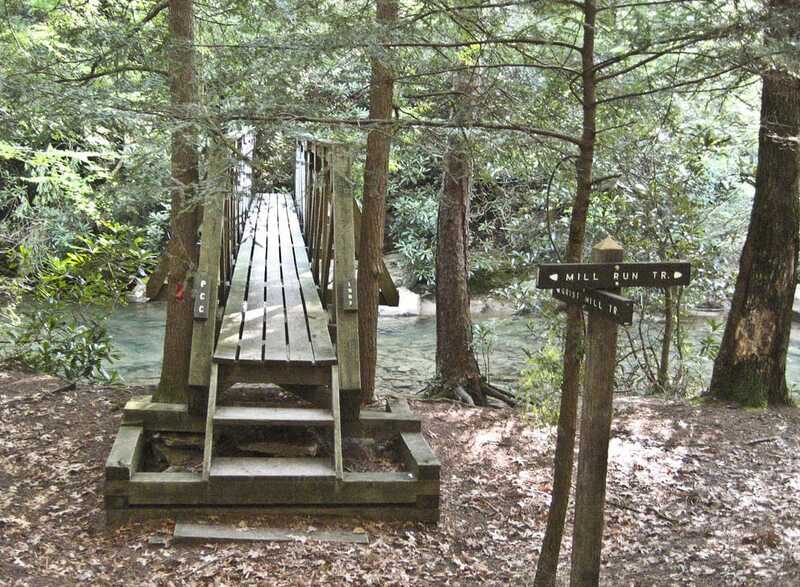 It’s in Fayette County; Forbes State Forest to be exact. And the Wild Area is really, really wild – there’s nothing developed for as far as the eye can see. Plus, only backpackers are allowed (no RV or truck). They’re super serious about their nature. Even backpackers pitching tents, by rule, need to be out of sight of the numerous hiking trails and roadways. Only you will know you’re there, honestly. Perhaps you’re a long-term camper. Or you own a camper. Or you love camping so much that it’s your vacation. In any case, bring your marshmallows and graham crackers to a lakeside spot in Keystone State Park near Latrobe. 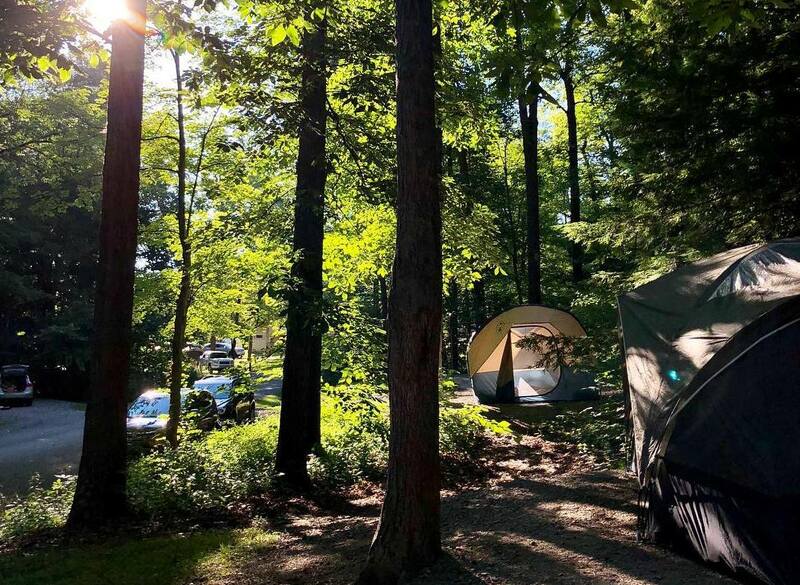 There, amongst the boating, swimming, and hiking, you can pitch a tent or park your RV at two different campgrounds (we recommend Lakeside, of course). Kick back, relax, and maybe get a jump on fishing the next morning. Oh, and they have yurts too. Rock Falls Park near Slippery Rock wouldn’t even be a thing without Rock Falls. Here you can wallow in the shallows, sunbathe on the hot rocks, and crawl over the low cascading falls. But when the sun zaps your energy and your sunburn borders on sunscorch, seek shelter at their rustic (and shady) creekside campground. Pretty primitive in the sense that you’re gonna have to “go” in the woods and bring your own water, the tranquil surroundings and ambient creek noise make it all worth it. At Bear Run Campground, business is boomin’. No really, it’s just one big camping community, and perfect for any extended camping stay. Tent space, RV slips, cabins, and cottages litter the 60-acre campus. Here, it’s sort of like a “choose your own adventure” camping experience. 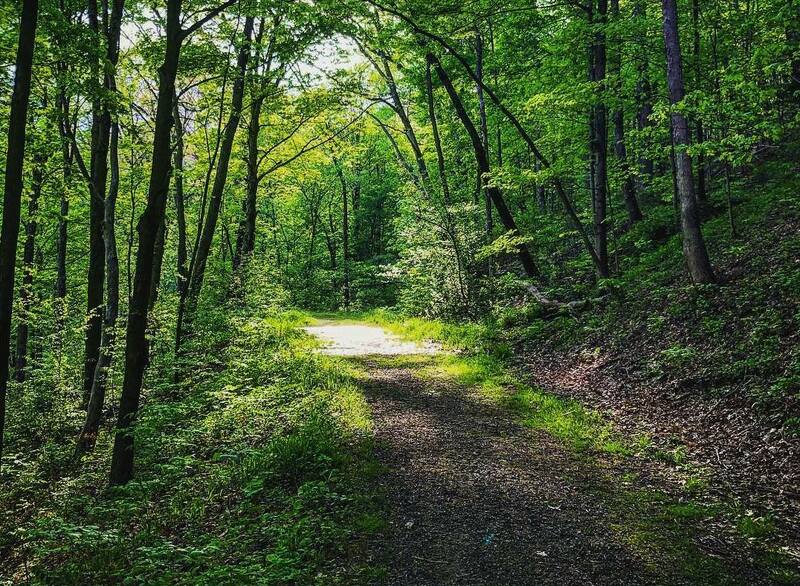 You can keep to the primitive campsites then venture out into sprawling Moraine State Park. Or you can sit down in the cafe while your laundry is on spin-cycle and friends are in the heated pool…camping is hard. Okay, Breakneck Campground, we get it. You’re cool. 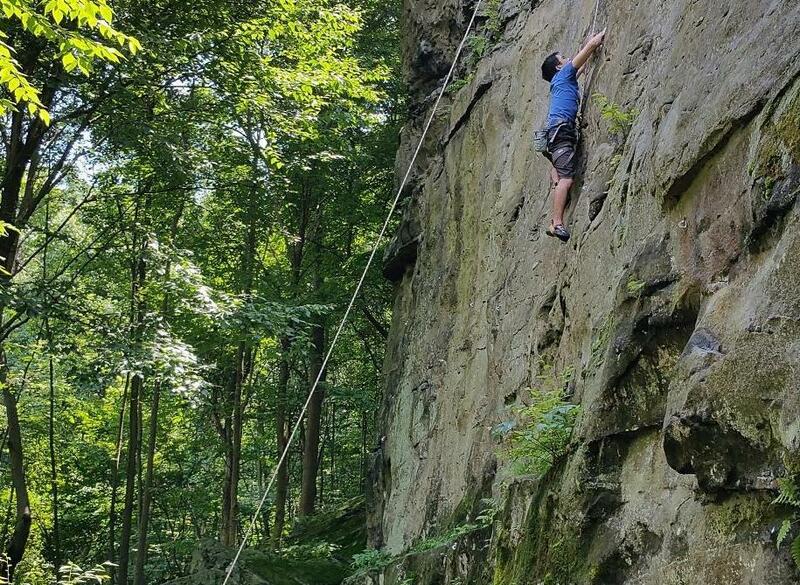 Neighbors with the ever-popular McConnells Mill State Park, the campground is a hangout for all nature enthusiasts, hikers, kayakers, and tough climbers coming over from the Breakneck climbing and bouldering area. 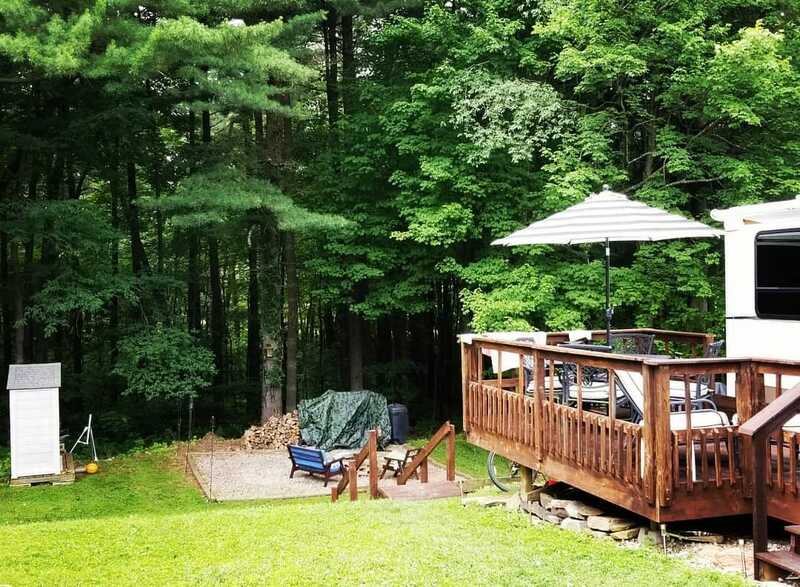 Once in the campground, lean on the railing of scenic decks, stoke a fire at a primitive campsite, or round up the gang for a game of sand volleyball (if you have any energy left). If you don’t, snooze in one of the cozy hillside huts. Call it a taste of country just outside of the city…and we’re not just talking about their annual Bluegrass Festival. 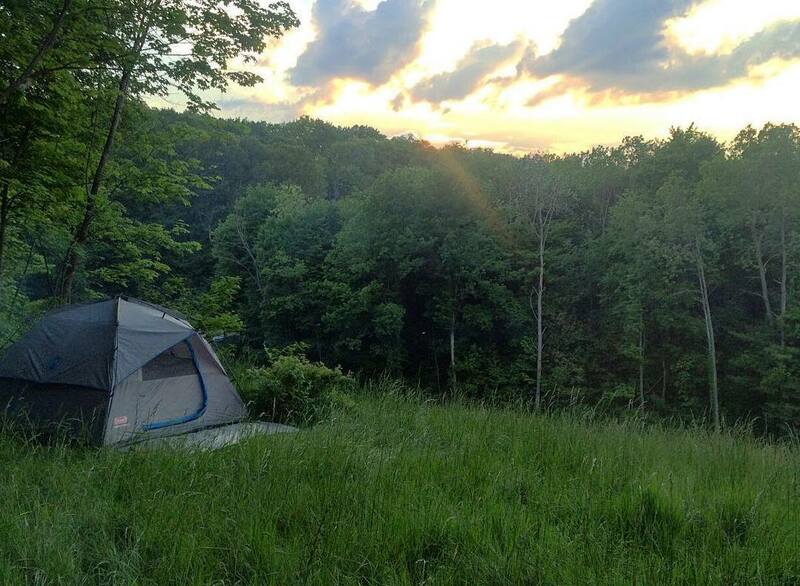 Mountain Top Campground in Tarentum offers another massive campus for overnighters and even over-monthers. And they’re open year-round, meaning you never have to leave! (Good thing they have laundry and showers.) 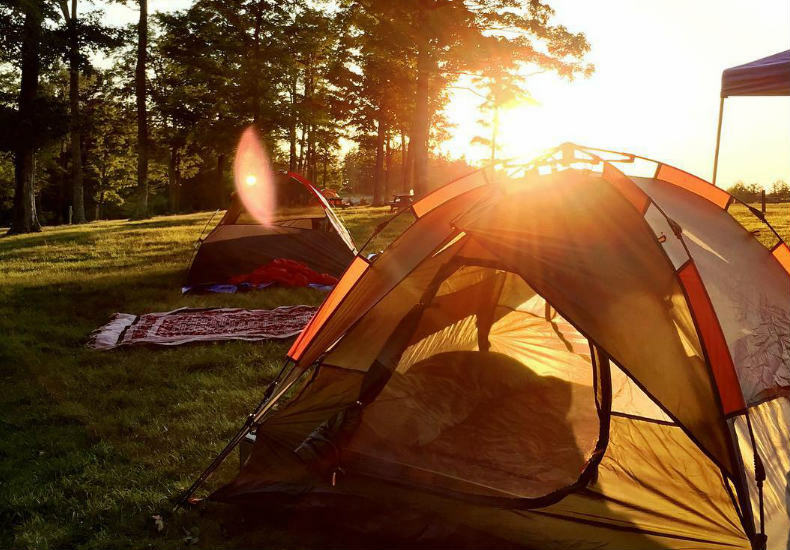 There’s plenty of room for camping and Kumbaya, but if you’re lucky enough to choose, there are a few prime tent spots that overlook the mountains beyond. 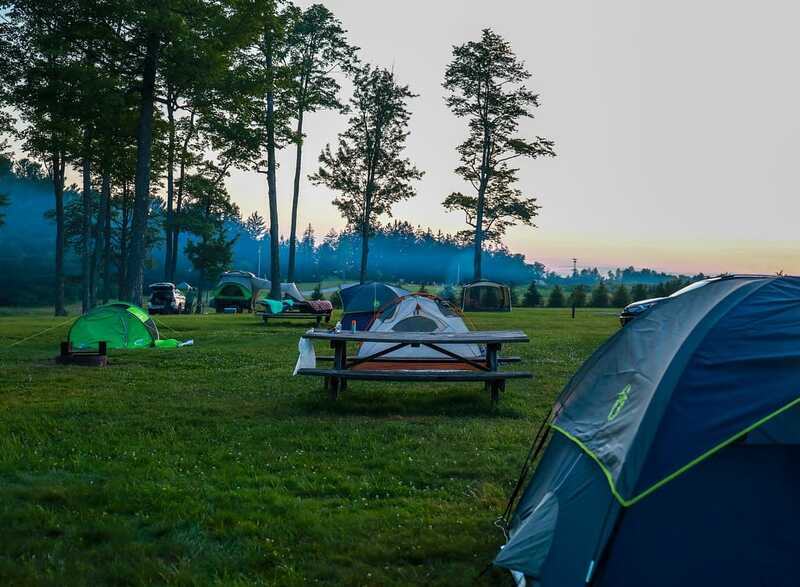 Now that you’ve got a taste for mega-campgrounds, you need to swing by Buttercup Woodlands in Butler County. It’s your a perfect opportunity to get active while camping. Featuring a swimming pool, basketball court, and plenty of open space, you can retire to your RV or tent knowing you’ve put in work that day (and by work, we mean fun). Cherry Springs State Park is nowhere near Pittsburgh. Actually, it’s nowhere near anything. And that’s what makes it so special. It has proven to be one of darkest places on East Coast, making it the ultimate stargazing getaway (seriously, you can’t see stars like these in the Burgh). Pack in the telescope and a few star charts before road-tripping the three-to-four-hour journey to Potter County (North Central PA). Lay back and take in the stunning, expansive Milky Way. And when your eyes get heavy, turn in at one of the 30 campsites.